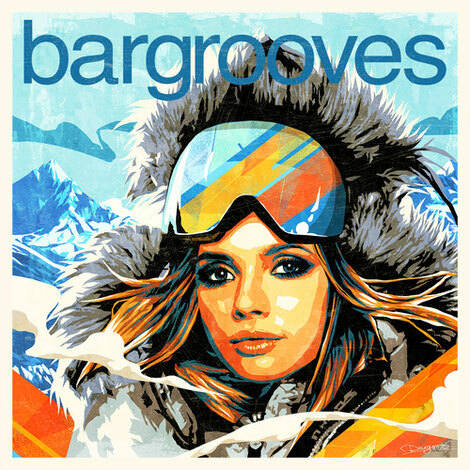 Bargrooves hits the slopes again with another collection of hand-picked house grooves for your on or off-piste soundtrack. ‘Bargrooves Après Ski 7.0’ consists of new and old tracks to kick off the New Year in style. Over the course of 30 tracks and two mixes, the compilation brings you the black run beats of Rachel Row ‘Follow The Step’ (KiNK Mix), Gershon Jackson ‘Huggin’ & A Luvin’’ (Chocolate Puma Remix) and Armless Kid featuring Queen Rose ‘Loubar’s Stars’, while Blaze ‘Lovelee Dae’, Kerri Chandler ‘Oblivion’ and Eli Escobar ‘City Song Part 2 (Peace, Love and Harmony)’ – taken from his forthcoming album ‘Shout’ - provide the bump. Chasing Kurt ‘From The Inside’ (Henrik Schwarz Remix) soundtracks the after-party while CamelPhat & Elderbrook ‘Cola’ (Simon Mills Full Sugar Mix) gives those chilled fireside vibes. It’s out 12 January 2018.